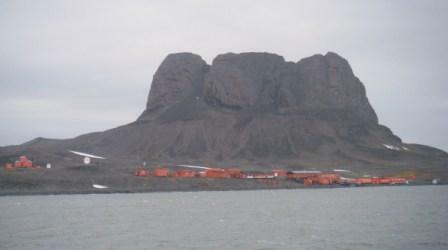 Our next port call was Jubany, an Argentine base on King George Island. 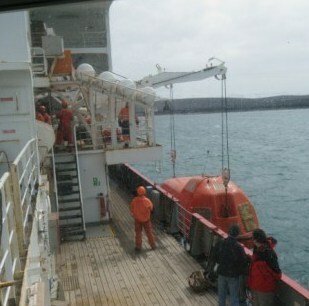 Deception Island, an active volcanic caldera, was on the way. 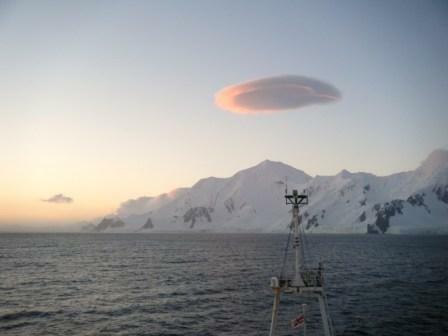 It is one of the safest harbours in Antarctica, so the ideal place to test the starboard liifeboat. The island forms a ring with an entrance 230 m wide called Neptune Bellows. Once inside we headed to Whaler’s Bay, a large black sand beach. Due to wind conditions the lifeboat wasn’t put in the water, just lowered and raised a few times. Then the Humbers were put out to do a few runs to shore. Due to the volcanic activity warm water bubbles through the sand at the edge of the beach, perfect for wallowing in. Once the water is more than a millimetre deep it is Antarctic cold again, but digging a hole in the sand a hot shallow bath could be formed. 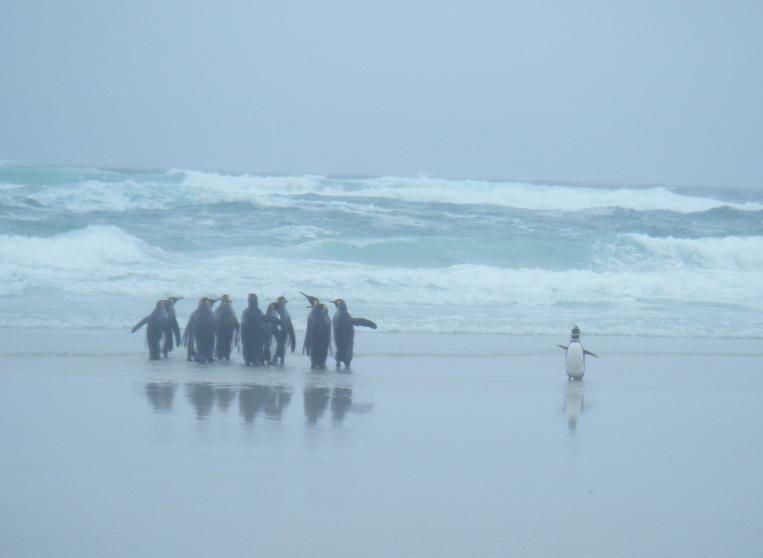 To good a chance to miss we stripped down to swimsuits (or underwear for those who didn’t think swimming costumes are essential packing for the Antarctic!). I dived straight in, momentarily panicking when I realised I couldn’t touch the bottom, then recovered in the warm bits and repeated for a while. All along the beach were remnents of whaling stations: large iron boilers to extract whale oil, rusting tanks, derilict buildings, piles of whale bones and an old hangar. 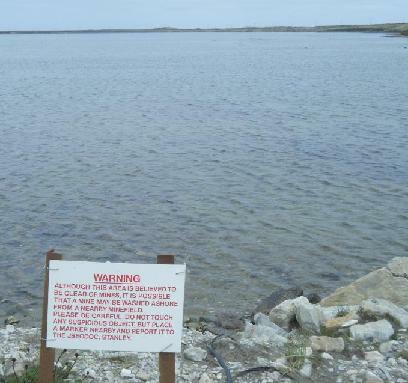 It smelt of rotten eggs and steam came off the edge of the water. It was a weirdly atmospheric, but felt like the perfect setting for a Doctor Who episode. We stopped for some science overnight arriving at Jubany early this morning. The base comprised of orange buildings, with very little snow around, giving it a very desolate appearance.